which encourages young people to live for God's glory. John Notgrass, a homeschool graduate, lives with his parents, five siblings, and grandfather in Middle Tennessee. In addition to making music and keeping up with civic affairs, he is a regular columnist for Home School Digest magazine, a speaker at homeschool events, and a solo actor portraying individuals from history. John is author of the book "Make It Your Ambition." 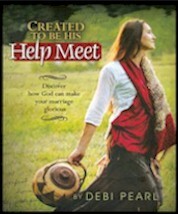 He works as a partner in the Notgrass Company, publishing homeschooling curriculum and other resources that help parents teach the heart, soul, and mind. Some day in the not-so-distant future I may be gazing into the wrinkled face of a little baby. Not just any baby, mind you — my baby! Of course, it will be God’s baby, one that he entrusts to me and to the wife he gives me. The possibility excites me. The possibility humbles me. If God grants that desire of my heart, then I will begin the glorious task of rearing that child (and the others God sends to me) in God’s way. Parenting is not a spectator sport. Foolish children do not automatically mature into wise, responsible adults. Some people say that parents are not important. People who say such things do not know what they are talking about! Family-based learning rests on two basic premises for those who profess Jesus Christ as Lord. First, by the ordinance of God, who created the family, parents are responsible for training their children in his way. Second, by the power of God, who gives the Holy Spirit, parents are able to train their children in his way. God does not require the impossible. With him all things are possible! 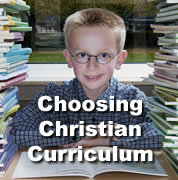 Christ-centered home education is not merely one educational alternative. It is a requirement for believing families. Parents may choose to use other resources to assist them in their task, but they must remember their ultimate responsibility. As for me, I have seen enough of public and private schools to know that I do not want my children in those environments. For five primary reasons, I plan to train my children at home: it allows liberty, it gives control over unlimited social interaction, it encourages redeeming the time, it promotes an integrated lifestyle, and it enables the provision of true teaching. All children are unique individuals who have special gifts from God. They do not belong to the government or to any other institution, and we should not force them into a prefabricated mold. When I train my children at home, I can chart our own course within the will of God. My children need not follow the common track that most children follow. I can give them tools and encouragement to do uncommon things in the name of Christ. I do not want my children to keep up with their peers. I want them to excel far beyond their peers for God’s glory. Home-based training gives parents the liberty to provide each child with the training he or she needs. Freed from the confines of school, my children and I can interact with a wide variety of people. We can enjoy visits with neighbors and relatives and other families. We can serve others in our church and community. We can work and travel and shop and conduct business. We can do whatever we want! And we can do it as a family, learning to show kindness and humility, to bear with each other, to forgive, and to love. Critics of homeschooling often point to a supposed lack of socialization, but parents of school-bound children are the ones who should be concerned about negative socialization! I want to show my children godly examples, protect them from ungodly examples, and give them social skills for many situations. 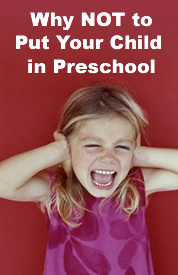 Home-based training gives parents control over unlimited social interaction. Instead of postponing real life by attending an artificial school environment, I want my children to experience real life at home everyday. I feel sorry for children who spend eight hours at school, three hours at daycare, and ten minutes with Daddy. I intend for my family to work together, play together, study together, serve together, and pursue God’s will together. Home- based training allows families to redeem more effectively the time God gives us. Life does not consist of distinct, blocked-off periods of time. I do not want my children to get into the habit of compartmentalizing their lives. I want them to see family, service, work, and education as interrelated under the lordship of Christ. Home-based training encourages and is itself a component part of an integrated lifestyle. Any education that does not rest on the foundation of God and the Bible is an incomplete education. In all fields we should recognize God’s authority and instruction. From infancy I want my children to learn the holy Scriptures which are able to make them wise for salvation through faith in Christ Jesus. The public schools obviously will not teach my children of Christ, and I cannot depend on anyone else to do it for me. Home-based training enables parents to invest much time in teaching their children God’s truth. These goals will contribute to the pursuit of the one central focus for my future family: I am aiming for faithfulness. I pray that my wife and I, our children and their spouses, our grandchildren, and all of our descendants will be faithful to God forever (Deut. 5:29). This will not just happen, and I cannot achieve it on my own. By the grace and power of God, I will do what I can. I look forward to training a faithful quiver-full of children who will fill their places in God’s kingdom, treasure the Scriptures in their hearts, and follow Jesus Christ all of their days. That is why I plan to train my children at home. Exploring Homeschooling recommends that you click here to find out more about the Notgrass family and their "curriculum that teaches the heart, soul, and mind." Copyright © 2006 The Notgrass Company and its licensors. All rights reserved.